successfully working together with them for more than a year already! blouse, I definitely recommend this one! No way! I have a VERY similar coat and I'm wearing it in my next post with the same type of blouse underneath. Great minds think alike 😉 I love red coats and this one looks amazing on you. They're so festive! So elegant! You look gorgeous in red! What a lovely look! Very pretty coat! Thank you Rae, I am very glad you like how I styled this look! 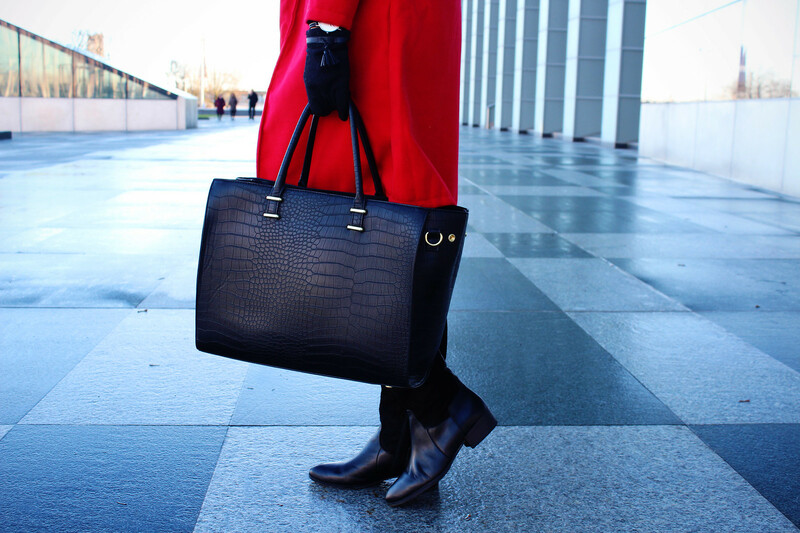 Red is your color, love your coat! Thank you Patricia! I have been thinking of wearing more red! I definitely agree, it is great to change things up from time to time! 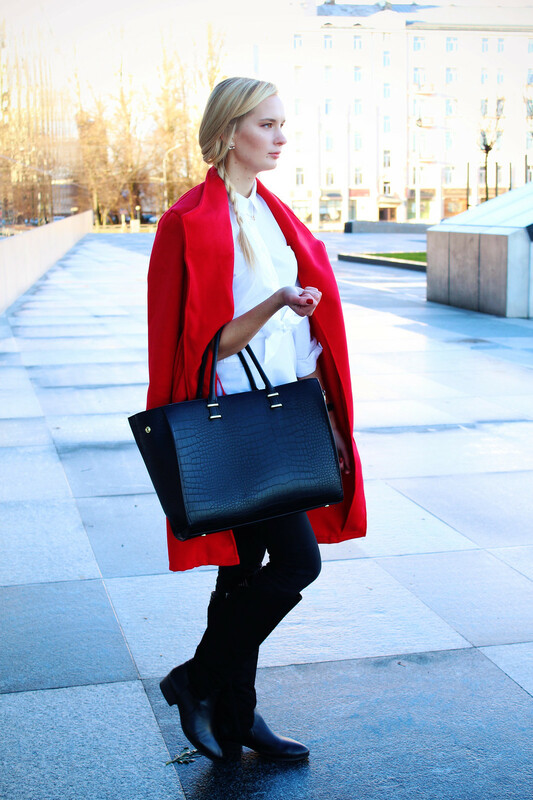 I agree that you surely can't be unnoticed while wearing red, therefore, it also requires confidence to pull it off! I LOVE your red coat, it is so beautiful on you! Love the look, and your hair is so pretty in the braid!